owner or manager of travelling circus or fair, swings, roundabouts, punch and judy or puppet show, etc. ; provides amusements also at garden parties, galas, etc. 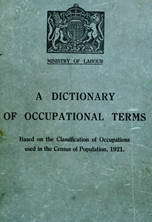 ; may direct staff of workmen in erection and dismantlement of shows. an amusement caterer or showman (q.v.) who organises amusements at wakes or on feast or gala days; may also organise bean feasts, etc.